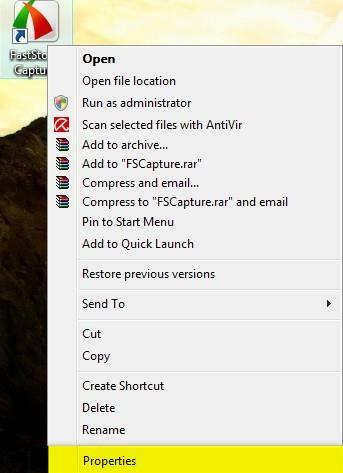 First, locate the file you want to run in compatibility mode or its shortcut, right click on it and select Properties. When you are in the Properties menu, navigate to the Compatibility tab. Here you have several options from which to choose. 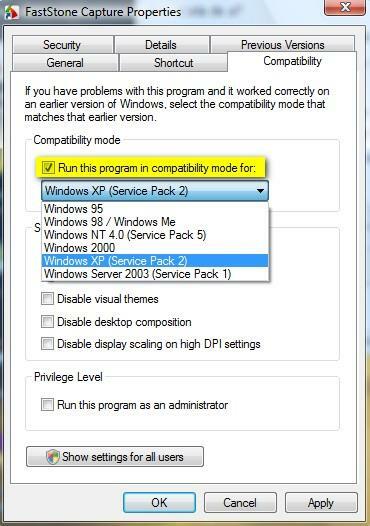 The first option and the one that usually helps in most cases is to check the box that says 'Run this program in compatibility mode for'. Then, select the operating system on which the application you are trying to run used to work. Afterwards click on OK and try to run the application. If it doesn't work properly then you can try the other options as well. Another thing that helps is to go to the Privilege Level area from the Compatibility tab and check the option that says 'Run this program as an administrator'. This helps when you try to use older applications which require administrator privileges to run properly. Please note that this option is not available if you are not currently logged on as an administrator. Run in 256 colors - may help you run very old programs that were designed to use 256 colors. Run in 640 × 480 screen resolution - this runs the program in a window with the specified resolution. You should try this setting if the application interface looks weird or is rendered improperly. Disable visual themes - this option disables themes on the program you are running. It can help if you notice problems with the menus or buttons on the title bar of the application. Disable desktop composition - it turns off display features such as transparency and others. This helps if you notice display problems or slowdowns while dragging the application window on the screen. Disable display scaling on high DPI settings - it turns off automatic resizing of programs if large-scale font size is in use. You should try this setting if large-scale fonts are interfering with the appearance of the application you are trying to run. NOTE: Do not run in compatibility mode older programs such as: antivirus & other security solutions, disk utilities, or other system programs because it might cause data loss or create a security risk. Of course not--a lot of those programs were not even compatible with XP64. Why would you want to try and run an old application on Vista 64? What a waste. That's why I have gone to Vista64 yet. I have Adobe Acrobat V6. How will this fare? I was told by ADOBE to forget about it. That was before I found out about the compatibility mode. The only issue is that it latches itself into many applications, like WORD, Excel, etc... and printers. It's great to set the proporties of a desktop icon. How will it work when accessed from within another software? can u run the bluetooth dongle in window xp compatibility? How to run an old MS-DOS program in Vista? My problem is following: Have changed from Win XP to Vista. On XP i used an old ms-dos program, Lotus Agenda. Now in Vista it says "ntvdm.exe has stopped to function" and the following message comes up. /It´s in Swedish, but I figure you have no problem to understand). Hi, we are having trouble having the new vista (64 bit) accept our mapping program which we ran on Xp and Vista (32 bit). With Vista 32 bit we were able to access paradox through common files and set pathway in net directory to have our program accepted. When we now go to common files we note that you have Microsoft shared but can't see how to access data configuration. Can you adise if we can set a pathway that will accept our mapping program. It is important that we come up with an answer. Going back to the software provider is not an answer. My application is running on window xp o/s with out any problem. but when i am running this application on vista o/s. it's not working properly. my application is using adds on. which need to installed on vista.i think adds on is not running on vista. can any one suggest me what i should do to solve this problem.